It was a well guarded trip, no leaks, no distractions, pure surprise for many political watchers. In fact, while he was already in the plane heading to America, some were still busy saying he can't visit America. 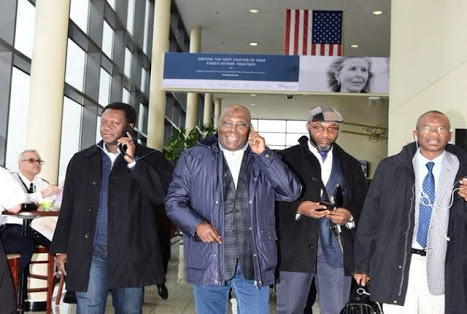 Presidential candidate of the People’s Democratic Party (PDP), Atiku Abubakar, arrived the United States of America yesterday and is, today, expected to speak at the United States’ Chamber of Commerce in Washington DC, from 2.30pm to 4:00pm. Atiku is expected to speak at a private roundtable, hosted by the US Chamber of Commerce and the US African Business Center at 1615 H Street, NW 20062. Atiku left Nigeria from the Murtala Muhammed International Airport, Lagos, in company with the Senate President and Director General of the Atiku/Obi Presidential Campaign Organisation, Dr. Bukola Saraki. After controversies over the refusal of the US to grant him entry into the country for 12 years, indications emerged in December 2018 that Atiku was finally issued a visa by the US embassy. APC National Chairman, Adams Oshiomhole, has repeatedly said Atiku could not go to the US because he was “running away from investigations by the US authorities... The PDP has a presidential candidate who can only travel to Dubai,” Oshiomhole had said. 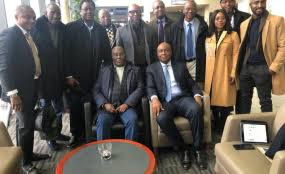 During one of his interviews before he emerged the PDP candidate, Atiku explained that though he had applied for visa, he was told that his application is going through administrative process. He was eventually cleared.